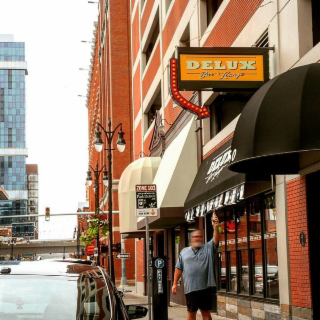 The Delux Lounge is the only Night Club in Downtown Detroit where you can catch the Best Dance Music Mix Our Dj's Spin Rock, Pop, Old School and more. We're in the Greektown Neighborhood of Downtown Detroit. We are conveniently located near numerous Fine and Casual Dining establishments, with Comerica Park (We still call it Tiger Stadium), Ford Field, Greetown Casino and most Downtown Hotels within walking distance. Complimentary Shuttle Service available to all Stadiums, Downtown Concerts and Sporting Events. The drinks are reasonably priced despite being a prime downtown spot, and the bartenders and waitstaff really go out of their way to show you a great time here Make your night out extra special and reserve our VIP area located right off the dance floor. Birthday Parties, Corporate Parties, Bachelorette Parties, or Private Parties. Enjoy dedicated service in a great and comfortable atmosphere in the Delux Lounge VIP area. Reserved Tables are also available. Against the advice of his associates, John Clifford Bell opened his signature club Cliff Bell's on Park Avenue in 1935. It was a luxurious place done in mahogany and brass. He ran the club from 1935 until his retirement in 1958 and enjoyed another twenty years of repose with his wife Maude before he died on December 12, 1977. 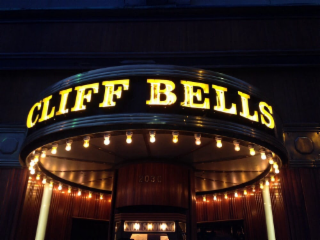 The building that houses Cliff Bell's was built by Joseph Campau and designed by Albert Kahn. It was originally intended to be ten stories tall but when the depression hit it was capped at just two. Noted architect Charles Agree designed the club itself. 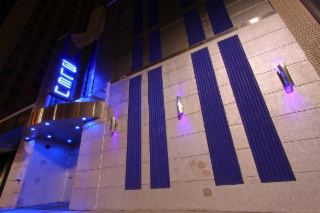 In 1985 the famous club closed and remained empty until in late 2005, renovation began on the long shuttered club under a joint venture of its current owners Paul Howard, Scott Lowell, and Carolyn Howard. Upscale, classy, and hooked up with the best sound system in Detroit! Dance the night away with us on the main floor, or enjoy celebrating an event within one of our VIP booths! Be sure to contact us and book your reservation today for our upcoming events or book a private event!